The ultimate guide to Zermatt ski holidays in 2019 & 2020. 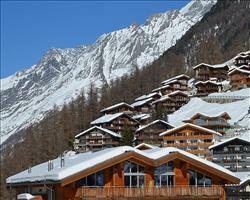 Zermatt belongs to Switzerland’s Valais canton, which rubs shoulders with the Italian Alps. You’ll find it surrounded by nearly a third of Europe’s 4000m peaks and - most notably - right at the foot of the Matterhorn. Even if you haven’t heard of this mountain, chances are you’d recognise it - national landmark of Switzerland, inspiration for the Toblerone and a peak photographed more than any other. Besides blow-your-beanie-off scenery, these mighty mountains come with a cool climate, ever-white glaciers and a stonking amount of snow. World-class slopes stream down from dizzyingly high altitudes - some skiable year-round, some reaching over to Italy, each more exciting as the next. Picturesque Rothorn, sunny Gornergrat, lakeside Schwarzsee and family favourite Sunnegga make up the 200km of local slopes, connected by 54 super slick lifts, many of which are fitted with a handy audio information system (and some of which are studded with Swarovski crystals, this is one of the world’s most glamorous ski areas, after all). Zermatt also has Europe’s highest mountain station, set at a whopping 3883m. An area lift pass grants access to 160km more terrain in Cervinia, allowing you to enjoy the Swiss and Italian Alps and you can extend this to include the Val d'Aosta with the International Aosta pass. ...and breathe: the air here’s amazingly pure thanks to it being car-free (if driving you’ll park your car in Täsch). Access into the resort is via train and once you’re there you have a choice of getting from A to B on foot, by whizzy electric car or in horse drawn carriage. The mountain air and scenery alone do you the world of good, but like all the best luxury ski resorts, Zermatt has the back up of private spas and health clubs ready to pamper you to feel-good, piste-ready perfection. View our detailed Zermatt snow forecast or snow report and see all live webcams, piste maps, road and travel maps and lift pass prices. For a picture of historic snow conditions see the snow depths month by month with our Zermatt snow history. There are 200km of runs in the local area alone and a massive 360km overall if you count the Italian side of the Matterhorn too. Together with Cervina, Zermatt forms the 'Matterhorn Ski Paradise' where SNO lovers of all abilities are blessed with high altitude terrain - and lots of it! Everyone’s a winner in a ski area this big and brilliant, but if we had to pick where it really shines, we’d say it’s especially fantastic for intermediate and advanced level skiers and snowboarders. If you’re a keen beginner, you'll love Zermatt, which has convenient nursery slopes, lovely wide pistes to practice on and much more once you’ve conquered the snowplough. The ski schools have an excellent reputation, whether you’re learning in a group or solo with a private instructor. See if the ticket office is still selling the Wolli-Skipass, which gives you use of the beginner slopes and easy runs. Wolli’s Park is a terrific learning area for tots and many of the best beginner trails can be found on the glacier, where newbies can enjoy optimum conditions and spectacular views. For experts, the National’s one of many cracking black runs and mogul lovers must attempt the famously challenging Triftji. A major asset to the area is the 36km of untouched powder slopes (marked as yellow runs and avalanche protected). These can mostly be found in the Stockhorn and Rothorn areas, and let you freeride to your heart’s content on some of the finest steeps and drops in the Alps. As well as cruising (or bolting) down these, there's oodles to discover off the beaten track too. You can heli-ski/board on 10 incredible routes, go ski-touring in the back-country, race in the Matterhorn Ultracks, try langlaufen with a choice of 15km of cross-country trails, and enjoy skiing by moonlight on floodlit slopes. Freestylers should take the Furggsattel chairlift to the Theodul Glacier, where the Gravity snowpark has excellently maintained jumps and rails of all sizes for everyone from beginners to pro’s. Zermatt was voted the world’s best après ski resort by the World Snow Awards in 2012, making it a wise choice if you want a whale of a time post-skiing. Sure – it doesn’t come cheap, but if you want quality, you won’t find better. 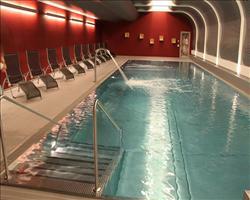 Across sixty bars and numerous nightclubs, you can relax, unwind and party through the night. Harry’s Bar is the place to dance to cheesy pop and Papperla offers a pubby atmosphere but you can’t come to Zermatt without being tempted into the Hennu Stall (at the end of the Furi-Zermatt slope) which has live DJ music. Designed to look like a boat, the Snowboat Cafe has a fun cosmopolitan scene with some fantastic cocktails. You’ll find a range of restaurants serving the inevitable Swiss and Italian delicacies as well as tex-mex and sushi. Swiss celebrity chef Ivo Adam offers some real gourmet indulgence at the Vernissage, good food and spectacular views can be enjoyed from the sunny terrace at Adler Hitta and you can keep up to date with the sporting world at Time Out Sports Bar & Grill. To extend your culinary experience, take a kitchen tour to see the other side of the restaurant. If you like hiking or walking, you’ve come to the right place. Zermatt is a top hiking, walking and snowshoeing destination with 70km of routes to hike or walk and 4 snowshoe trails. Ice climbing is another popular activity where there are heights to conquer and sights to discover (the frozen waterfalls are remarkable) or for a bird’s eye view over the Swiss, Italian and French Alps, Paragliding is a must. For other outdoor activities, there’s a great toboggan run and natural and artificial ice rinks for skating and curling. In the Forest fun park you’ll find zip wires and suspension bridges at a range of sizes and heights. 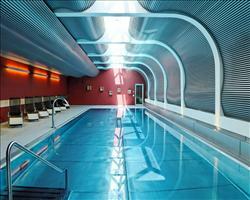 Fun can’t only be found outdoors in Zermatt, where there are some great indoor activities also on offer. 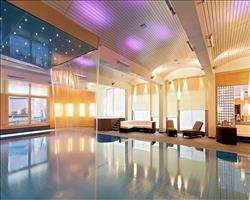 The Triftbachhalle has a huge climbing wall and there’s also a cinema, swimming pool, games room, tennis court and museum as well as Spas and salons where you can relax and rejuvenate. When is the best time to ski Zermatt? Zermatt’s high altitudes, glacier and fantastic snowmaking technology make it one of the most snow-sure resorts on the planet. In fact the conditions are so good, skiing's usually available all year round. Snow cannons cover around 70% (that's 135 km) of Zermatt’s pistes and over 70% of the overall Matterhorn paradise area can be covered by artificial snow too, so slopes are usually open even if the weather isn’t in its usual good form. Zermatt is usually sunny, so it’s a great place to top up the goggle tan while on the hill. In 2013, Zermatt received the ‘Families Welcome’ seal of quality which recognises resorts that cater the best for families according to the criteria of the Swiss Tourism Federation. The accommodation available doesn’t fall short here – where you’ll find a range of hotels, chalets and apartments that are perfect for families of all shapes and sizes. One of our family favourites is centrally located Chalet Hotel Atlanta, where a huge selling point is the amazing view of the Matterhorn that can be enjoyed from the dining room and most bedrooms. If you prefer to stay somewhere quieter and more intimate that you can have to yourselves, the lovely Chalet Aconcagua sleeps 6-8 and is located in a quieter area of the resort, just above the village. Look out for the resort’s mascot Wolli the sheep which is displayed with the businesses and activities that best serve families. There are some brilliant schools offering lessons for children, teens and adults in skiing, snowboarding, telemark skiing, freestyling and freeriding. In Sunnegga, the Wolli park offers a safe, sunny area for children to learn to ski and practice what they’ve learnt and there are some lovely runs for the family to enjoy together up on the glacier. For quality family time without the skis, Zermatt has some brilliant toboggan runs as well as an indoor climbing centre, swimming pool and cinema. Family holidays with flights and airport transfers included are the easiest way to reach the mountains and better still, they’re 100% ATOL protected. Select your nearest airport below for the most convenient holidays. Our self-drive packages including channel crossings are perfect if you’re driving to the mountains or if you want to arrange your travel independently, book your hotel, chalet or apartment on its own with one of our accommodation-only offers. 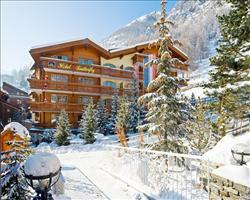 See the best Zermatt group holidays below. 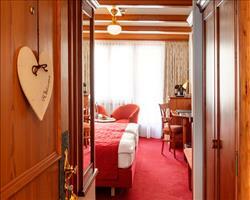 Chalets are a brilliant choice for groups, where everyone can enjoy cosy, authentic surroundings. Pick a large chalet if you want to share with other groups or opt for somewhere smaller to match your group size if you want sole occupancy. Chalets Claudia, Anita and Alessandra are all part of the same building and sleep 8-11. You can find them in one of the quieter parts of Zermatt which makes them perfect if you’re looking for a laid back holiday enjoying good company in your own space. Ski hotels are another excellent option for groups who can enjoy private rooms and join together in large communal areas. 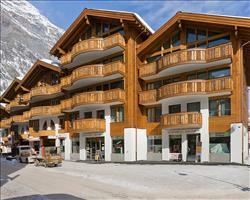 If you’re looking for a cheap group deal, check out our apartments and book a self-catering ski holiday. Groups choosing between hotel accommodation and self catering can always split between the Ambassador Apartments and Ambassador Hotel, both part of the same property. Look out for our freebies and discounts especially for groups where you can all ski for less. On the snow, there’s something for every level of skier and snowboarder from complete beginners to pro’s. Arrange ski passes depending on ability - there’s a special beginners pass, local area pass and two international passes which extend the area to Cervinia and Val d'Aosta. With around 35 bars and 9 nightclubs , there’s après ski here to suit everyone whether you prefer quiet drinks by the fireside or dancing into the early hours. Get everyone to the mountains fast and without hassle in one of our accommodation, flights and transfer packages. If you’re planning to drive in convoy, we have self-drive holidays including accommodation and channel crossings. If it’s proving too difficult to arrange travel because everyone has different preferences, opt for independent travel where you book the accommodation on its own and let everyone make their own travel arrangements. 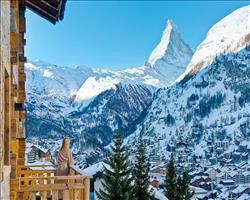 "A once in a lifetime place to visit"
Zermatt is a lovely town, stunning. We were total beginners and we learnt to ski here. I’m not sure if it’s best for beginners, I think the resort is more suited to people who can already ski, but this was a once in a life time trip with family from Africa, so we really wanted to go somewhere impressive. 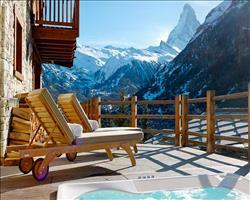 If you only go once then go to Zermatt. Next time we will probably go somewhere with some green runs, there weren’t any greens and I found the blues and reds quite daunting. We had a nice young guy as our instructor and he was very patient, I would recommend the ski school. In the evenings we were way too exhausted to go out (learning to ski is tiring!). There were nice places to go out though, although it’s not a very big town. It’s good but expensive – we ate out for lunch a bit and that was fine but not cheap. Our favourite bar was the ice bar, over the main square, right by the museum. The whole place was made of ice and it was pleasant to go there for some champagne after skiing. We went over New Years and I would avoid Christmas and New Year next time because there were children everywhere! I didn’t like them whizzing past while I was skiing. There were New Year’s celebrations like fireworks in the main square, but it’s difficult to enjoy them fully when you have a young child with you, it was nicer to stay in at the hotel. I was surprised there was no traditional singing of Auld Lang Syne. "Loved it – would go back"
"Great snow in March, must ski over to Cervinia for lunch"
I thought Zermatt was nice, part of the reason we went here in March was because it’s so high. We had good snow while we were there, the snow only got slushy right down towards the bottom so as long as you skied up high you were fine. The ski area is good although it takes a bit of getting used to as it’s divided into three sections, which is a bit different to other places. There’s reasonable variation on the piste, not the most challenging runs we’ve ever had and we tend to like the hard runs. You have to go up high and then the steeper parts are when you’re skiing back down. If you’re an on-piste skier and like to cruise around you’d be happy here. We didn’t eat in the town as we stayed half board in a hotel, but it looked like there were lots of nice places to go to in the town and on the mountain. There are one or two really nice places but they’re very expensive. It’s definitely worth going over into Cervinia if the weather’s good, we had a couple of meals over there that were about half the price you get in Zermatt. 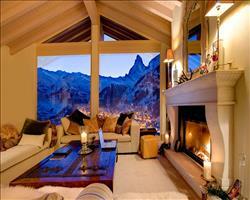 "My favourite place to snowboard"
Zermatt is my favourite place. Out of five I would give it ten, twenty, a hundred! It’s very traditional and picturesque, not like France. It has a lovely character. If you’ve never been you must go! It’s a long journey from the airport but I think that adds to it. The ski area is quite big, and I’m an advanced snowboarder so it’s good for my level. It has some very good off piste which was one of my reasons for picking it. I’d been to Zermatt seven years ago. The first time the snow was fantastic and I was blown away! It was different this time because the weather was disappointing (it was very cloudy and we only had one fantastic day). It got a little windy and they shut the mountain a couple of times. Then it snowed the last day as we were leaving which was heart breaking! We actually considered staying! We still had a really good week, we made friends and there are plenty of bars to visit if you’re not on the slopes. 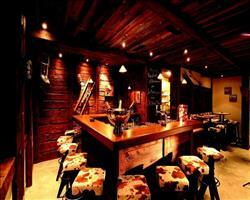 It’s very expensive in general, but because we had a catered chalet we didn’t end up spending too much. The lift pass price is extremely extortionate though, £320 for a week! If you have a chance to go to Zermatt I would highly recommend it. I can’t fault the whole holiday. The way it was organised – from the airport, to the trains, to the resort - was very impressive. It was a masterpiece. There are so many things to do, I would definitely recommend visiting the glacier – you can ski from there all the way down. I’d also suggest visiting the chocolate shops, where you can ask for whatever kind of chocolate you like, select berries, nuts, anything you want, and they make it for you. In general it’s a very nice place and the village is very well organised. "We'll definitely ski here again"
We were recommended Zermatt as somewhere that’s a bit different to France and is properly Alpine, it’s a lovely place and we will definitely be back. We had some really good days on the mountain, you get completely different skiing depending on the area you’re in and can go over to Italy. The slopes are long and wide so intermediates can pick up some speed and there were some nice blues for the beginners who managed to pick up the basics quickly. In the town there are loads of bars and restaurants and the shopping’s alright (if you have a credit card!). "Beautiful - we loved it"
We loved Zermatt and had a really good week. The place is really beautiful, the village is so pretty and “olde worlde”, with horse and carriages taking you around and no cars at all. I wouldn’t say the skiing is good for beginners, probably more for intermediates and above - it’s lovely to be able to ski over into Italy. Zermatt is a fantastic resort; we really like the scenery as it’s all very picturesque with the Matterhorn there. Also like the quality of the ski slopes, everything is generally very well maintained. The fact that you can ski over to Italy is a big selling point and I’d certainly recommend doing this at least once. We were a little concerned about the snow conditions at the beginning of February as at that time of year it can go either way, but we were actually really lucky. "We would definitely go back to Zermatt"
There was good snow even though it was early in the season. We have done it before (to Les Deux Alpes) where we went the week before Christmas and it always seems to work quite well. We were lucky, it wasn’t cold either. It was so uncrowded, there were hardly any people out on the slopes. We would definitely go back to Zermatt. There is lots of après ski – so much choice. We went to one restaurant with really nice pizza, and then there is a great bar just off the slopes where we used to all meet up. We whizzed around the resort with different groups, it’s a very good place to meet up with people and they allow ski hosting there. It’s easy to find people on the slopes and everything leads down to one central point in town, a bit like St. Anton. There’s a vast expanse of skiing, and it’s a good place for skiing off-piste. There weren’t any moguls when we were there and I missed that but we skied dawn till dusk some days, it was so much fun! "Brilliant skiing over to Italy too - choose a catered chalet"
Zermatt is expensive so the best way to stay here is with a chalet holiday where you don’t have to eat out much in the week! It has brilliant skiing and we had a really good week here. We skied over to Cervinia and did the longest run in Europe which was really nice. The skiing was amazing! We had powder every day and the slopes were empty, we will go back at the same time next year. We went on the itinerary runs which are unpisted/unbashed routes – they were completely empty apart from us which was fantastic. The ski area is good all round for all abilities. Some people we spoke to in the chalet downstairs from ours went across to Italy to ski Cervinia with the extended pass, which we will probably do next time. The only thing was that the weather was a bit windy and snowy, so if you’re going over the border you have to be careful about making sure you get back before they close the lifts. The one thing about Zermatt is that the lift pass and food are quite expensive, but you definitely get what you pay for. The town itself seemed good and had loads of bars and restaurants. I don’t have any complaints for any kind of holiday, it would be good for young people as there’s quite a lively nightlife, it would be good for families as there’s a good variety of pistes and it’s a good place for couples too. "Expensive resort, extensive skiing for experienced skiers"
It’s quite an expensive resort. The skiing was excellent, it’s a very extensive area. You can go over to Italy to Cervinia, which we did quite a lot. We actually preferred the food over on the Italian side (despite Zermatt being renowned for having good cuisine), and the food/drinks over in Italy were cheaper. It’s not really a resort for beginners, we thought that our friend who didn’t come, and is a lower intermediate skier, would have struggled with the skiing. We’re quite experienced skiers so it was great for us. I remembered Zermatt from a summer holiday years and years ago and it has developed a lot since. I think it’s outgrown itself a bit, there were a lot of new chalets. "Spectacular scenery, don't miss the Gornergrat train ride"
We really liked Zermatt. They say it’s traffic free, but it’s not really. There aren’t any cars but there are lots of electric buses – we almost got run over a few times! Not quite as tranquil as you might expect. The scenery is spectacular. You can see the Matterhorn from everywhere in town and on the slopes. We had fantastic snow while we were here. Zermatt isn’t as user friendly as some French resorts, you generally need to walk or take the buses to get around, you can’t really just step out of your apartment and onto the slopes, which is more what I’m used to. The skiing is generally quite difficult, there are some easier runs but they tend to be traverses which I found quite boring. You can’t really rely on the grading – even the blue runs have steep or narrow sections. I really recommend taking the train up to the Gornergrat area, the train ride is very beautiful and my favourite runs were up there. There were about 4 or 5 really good runs that weren’t too difficult. There are also some easier runs up high on the plateau but you have to take several lifts to get up there. 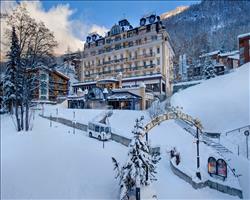 I didn’t ski over to Italy but my husband did – he said he preferred the skiing on the Zermatt side. We didn’t have a guide, I think this would have really helped us find the areas which were best for us. It's astronomically expensive to eat out so make sure you get a hotel with half board. The food up on the mountain actually wasn't that expensive, we were suprised, but we did just have a sandwich and a drink for lunch. Zermatt’s great, I liked it because it’s not a ski resort as such but more of a proper town. The weather was a bit windy on occasions so some of the area was closed. The ski area’s quite mixed and well groomed, there’s a lot of off piste but the snow wasn’t amazing. I would recommend the itinerary runs, though they’re not easy to find! There seemed to a quite a lot in the town, not the same level of après ski you find in Austria but a few decent bars. Zermatt is great, it’s got a real Swiss, hedonistic Alp feeling and some great shops that are really buzzy. The whole place is very beautiful. We took a guide one day which was excellent, it’s definitely worthwhile no matter what level you are as the guides are quite intuitive as to what level you can ski and what would suit you. We did plenty of off-piste and it was nice to find some really good tree runs considering it’s such a high resort. The weather was great; it snowed most days which I love even though most people don’t like it when that happens! "This is why we love skiing and Zermatt"
This stunning chalet looks out onto a breath-taking panorama of the Matterhorn and Zermatt village itself. If you’re feeling adventurous you can even follow an off-piste track and ski all the way home at the end of the day. A really special little spot in perhaps the world’s greatest alpine town. Sno wonder we love Zermatt so much! "My dad still raves about it"
I was literally a baby when I visited Zermatt so all I did was ride in a baby carrier on my Dad’s back and say “goo goo” and “ga ga” a lot, but I’m sure it’s a fantastic place because my dad still raves about our Swiss ski trip so I’m writing his opinion here really. From what my father tells me, the snow in resort is brilliant because its so high and has the glacier. 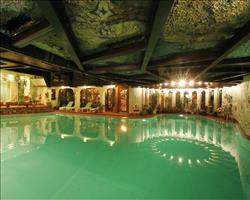 It is not a cheap resort though and there are plenty of glitzy shops and expensive mountain restaurants. The clientele is generally a little older as they are the only ones that can afford it! Because of the strength of the Swiss France it’s worth pre-booking as much as you can rather than buying lift passes and ski rental once you’re out there. It does also boast stunning views of the Matterhorn mountain and you can get a cable car that will take you even closer to it for excellent panoramic views. Coolest of all is that you can ski across the border into Italy and have lunch in Cervinia. It doesn’t have to be expensive here, but its hard to holiday here on the cheap… which is a good thing if you feel some resorts are a bit uncouth! As a 30th birthday present, my girlfriend organised a summer skiing trip to Zermatt. We arrived in Zurich at the end of July and had a couple of days in the city sunbathing in balmy temperatures by Lake Zurich before taking the train up to the mountains. The journey itself was incredible; the mountain train snakes its way up to the pretty, traffic free Alpine resort whereupon it reaches the end of the line right in the middle of town. I've done a fair bit of spring skiing, but I've never been to a mountain resort in the summer months. It's slightly disconcerting when there's not a speck of snow in sight, but the sheer beauty of Zermatt and the towering Matterhorn distracted me from dwelling on this. I was also reassured by a knowledgeable local that the glacier (not visible from the centre of town)was in good nick so skiing would ensure. To travel up to the glacier is a good 30-40 minute gondola ride. The runs are limited obviously, and the lifts close up there around 2pm to save the snow for the next day. That said, I was more than happy lapping the half dozen, well-kept reds and blues and mucking around in the excellent glacier park. To mix it up, we had some incredible walks from the centre of town. Most marked paths are quiet, making you feel truly connected with the stunning surroundings. And the wondrous sight of the Matterhorn seems to edge its way into the line of sight whichever way you turn. 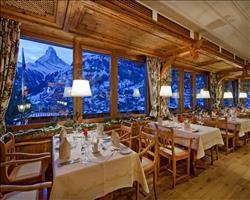 Zermatt is pricey, but for a special occasion, I can't imagine anywhere better.